Tough on cold sores and fever blisters with 5 anti-viral ingredients! Kenny Robinson is a professional trumpet player and lifelong cold sore suffer. He tried every treatment available for his potentially career ending condition. Nothing worked the way I needed it to. After eight years of research I developed a formula that treats and prevents cold sores with daily use. It worked great and customers have thanked me for making it. We called it Lip Repair. But he still wasn’t satisfied. He knew that if he kept working on it with our team of expert formulators they could make it even better. And they have! So if you get cold sores, relax! We have you covered. USE EVERY DAY AS A REGULAR LIP BALM. AT FIRST SYMPTOMS APPLY IMMEDIATELY EVERY HOUR, AS NEEDED. When should I use LIP REPAIR ENHANCED? Lip Repair Enhanced may be used regularly as any normal lip balm. If you have a cold sore or feel one coming, apply every waking hour. Do not use other remedies including prescriptions as they may inhibit the efficacy of Lip Repair. How do I apply LIP REPAIR ENHANCED? Apply with the slanted applicator tip, a clean finger or with a Q-Tip. Can I use LIP REPAIR ENHANCED if I already have a cold sore? Yes. LIP REPAIR works even after a blister has developed. Apply it at least every waking hour making sure not to use any other remedy including prescription medication. These may lessen Lip Repair’s effectiveness. Will LIP REPAIR ENHANCED help to prevent future outbreaks? How does LIP REPAIR ENHANCED differ from other cold sore products?Lip Repair Enhanced is formulated to PREVENT cold sores with daily use. It has ingredients that only treat cold sores, but make your lips feel soft and supple. What are the ingredients in LIP REPAIR ENHANCED? Please refer to our Product Information tab. Is LIP REPAIR ENHANCED tested on animals? No, LIP REPAIR does not participate in animal testing. Can I wear lipstick while using LIP REPAIR ENHANCED? Yes, apply LIP REPAIR first, let your lips absorb the product before applying lipstick. Can I use LIP REPAIR ENHANCED if I don’t have a cold sore? Yes, use LIP REPAIR to moisturize and prevent dry, cracked and chapped lips. Cold sores have been plaguing people of all ages, races, and lifestyles since the late 1800’s. Also known as fever blisters, cold sores are medically referred to as the Herpes Simplex Virus (HSV-1). HSV-1 is commonly recognized as a series of small blisters that form on the lips or around the corner of the mouth. Throughout the duration of the illness, these blisters will bubble, break open and leak a clear fluid, eventually resulting in a scab after a few days. Left untreated, the blisters commonly take approximately three weeks to completely heal from the onset of each episode. HSV-1 is known to be extremely contagious and can be contracted from an intimate interaction with an infected patient. After the disease is contracted, it lays dormant in the upper part of the spine until reappearing as a flare up. Flare ups are not the same for every patient: each individual will react differently to the virus. Some with HSV-1 are immune to the virus, while others will suffer from several outbreaks a year. Several factors will encourage viral growth and cause an outbreak, including stress, illness, injury, a weakened immune system, or too much exposure to sunlight. When a patient has too much of the amino acid arginine along with too little of the amino acid lysine, outbreaks can occur as well. Diet can also play a large role when triggering an outbreak. An overly acidic system – drinking orange juice, consuming sugar – are great catalysts to the outbreak of a cold sore. By incorporating foods rich in lysine into the diet, including most fresh vegetables and fruits, a patient can prevent outbreaks. Lysine-rich foods include pears, figs, tomatoes and apricots. A balanced mix of dairy, protein and chicken or vegetable broth has also helped with preventative methods of consistent outbreaks. Positive ions can also make your body viral. Positive ions are found in the aftermath of a thunderstorm. In fact, most home air purifiers have a built-in negative ion generator, which is another preventative method to take. At the onset of a cold sore, a lipid envelope surrounds the virus, which makes it harder for any chemical to reach and treat the virus directly. 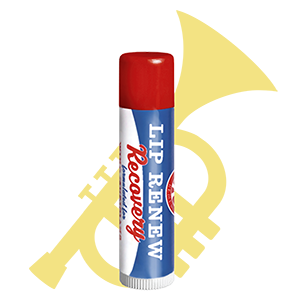 Robinson’s Remedies Lip Repair contains a unique formula that naturally penetrates this lipid envelope, in turn rapidly relieving the symptoms of a cold sore. 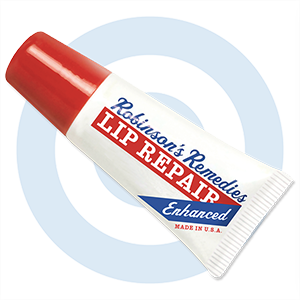 Using Robinson’s Remedies Lip Repair daily will create an unwelcome environment for a cold sore. Unfortunately there isn’t a cure for HSV-1, but that doesn’t mean you have to be prisoner to the disease. Figure out what makes you happy, learn how to live with less stress, know your triggers, and act quickly at the onset of an outbreak. A healthy combination of all these elements will make living with HSV-1 completely manageable.